Every year Google hosts a 2 to 3-day long event to bring software developers from all around the world under one roof and discuss everything Google. The conference is held in the bay area every year and features exclusive talks and discussions about building mobile apps, softwares, web and enterprise applications with Google. The highly tech-concentrated event also elaborates more on Google’s products like the Maps, Search, Mobile and Chrome OS and Web APIs etc. All in all, it is basically ‘Universal Studios’ for a software developer and technology geek. Sundar Pichai, CEO – Google, announced some really interesting developments in the next version of Android N and mobile and Chrome applications you might want to give a try when they launch. In case you have not heard about this year’s Google I/O conference yet, do not worry at all, we’re going to list down some hits and misses below to help you digest all the developments in three days. 9 What do we think of the conference? Early this year, Google had released the developers preview of the next unnamed version of Android, Android N, following the alphabetical order of naming the version. The preview was available to all Nexus users on a quick sign-up allowing them to get a peek into the future. As further versions of the developer’s preview got released, the OS felt more polished and sophisticated as compared to Android Marshmallow 6.0. One major update to the next version is going to be background updates. Just like apps update in the background, in case of a quick security fix or a bug fix, the Android version will update itself in the background, without all the inconvenience of restarting the smartphone and then optimizing the apps for hours. Essentially the smartphone will make a partition in the memory and install the updates on the new memory, and switch the new partition as the primary one. Sadly, this feature will not be available to any of the existing smartphones, including the Nexus 6P and 5X. What a bummer! Vulkan has also been introduced to reduce the computing power while enjoying high-quality graphics. Essentially to improve RAM access, the feature will allow developers to fit in more effects per frame at the same frame rate as before. Other enhancements include a split-screen like the one on Samsung phones, small intuitive digital buttons for notifications and app drawer and a smoother interface. Our Verdict – If the ‘downloading update’ on your screen does not bother you much, you need not worry. All other updates will be coming your way if your handset-maker has planned an upgrade. Android N is expected to be a lot ‘yummier’, but not extremely different from Marshmallow. This morning, I was surprised to see that Google Now’s voice recognition is much better than Siri’s in India. Kudos to Google for making it comfortable for Google Assistant to recognize Indian accents. Nevertheless, Google has planned to give its assistant a little edge. 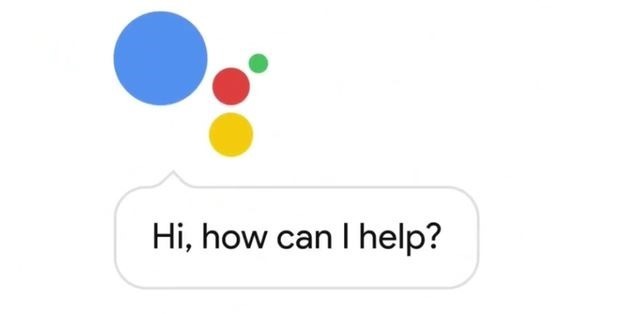 The Assistant will no longer be limited to just a speak and search help, it will be more responsive and chat-like. The assistant will basically do everything for you – answer questions, book movie tickets for you the way you like and play games. We see a lot of potential here considering all the data Google has accumulated from ‘Ok Google’ and the AI tech going on at the back. Our verdict – Yes! Siri is finally coming to Android! I mean atleast a Siri-like assistant is coming to your Android phone soon. The update will be available in the coming months and I can’t wait to use it. Sending replies, searching for movies and booking tickets and playing music without typing anything sounds great fun and it seems Android has finally caught up with Apple on this. It looks like Google is not holding back with just a regular virtual reality head gear. There is an upgrade to the simple Google Cardboard, called the Daydream. It is not a hardware update, but more like a software/platform update for VR headsets. With all guns blazing, Google wants to improve brand-specific VR headsets like Samsung VR headset and HTC Vive. Daydream has been built on top of Android N and is basically an extension of your smartphone. The headsets will have Android N projected in front of your eyes and you can use it much like a smartphone. 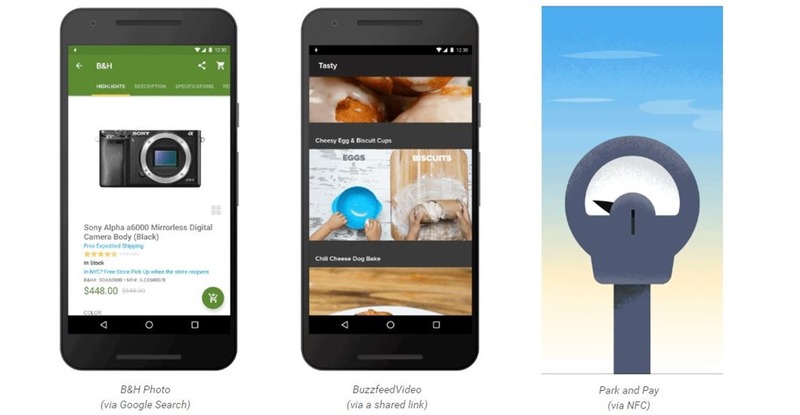 Google has also created apps like YouTube, Google Photos and Play Movies for the platform. Other developers are also invited to create apps for Daydream. Another bummer fact is that Daydream will be available only for VR ready smartphones releasing this fall. Apparently they need special screens to work on Daydream and hence our regular phones will not be able to enjoy the technology. Well the good news is, the lag between user’s movement and VR’s recognition will be less than 20 milliseconds, so you can enjoy shooting a basketball shot and still get a 3-pointer without dismay. Our verdict – Honestly, everyone says VR is the future of mobile applications and it is the next big thing. But is much even happening in India about it? VR headsets are still expensive and not worthy to a commoner like you and I.
I would say this can be given a miss, but if you’re very eager to try out games on virtual reality, this Daydream powered headsets are what you should be looking for by this year end. This is one of the most interesting updates from Google in a very long time. I don’t know they did not think of this before, or maybe it took a lot of time to implement. But now you can open an app without actually having it on your smartphone. Yes you read that right. You do not have need to have an app installed in your smartphone to open and purchase something in it. Let’s say you want to watch a video on Facebook but do not have it installed, you simply press the video and the system selectively opens that chunk to allow you to watch the video exactly like you would on the app. You ask how Google does that? Simply by breaking the developer apps into chunks. The selective part of the app shows up and displays that part of the app you wanted to access. A small part of the code is downloaded and opened in Google Play store. At the I/O, it was displayed live how something was purchased from an ecommerce website and checked-out within 10 seconds without giving card details. Android Pay is immediately integrated into the feature. Of course, Android Pay is not available in India and so the process would be a little longer, but atleast you don’t have to download an app you rarely use. Instant apps can be used to display your videos, photos or other content and purchase something from an app directly from Google Play within a minute. Our verdict – Probably the most exciting feature to come to Android OS, this can literally disrupt the mobile apps business. There will be lesser downloads, but give people flexibility to purchase something without downloading whole app for it. App developers will also get into creating smart modular applications for use. We hope Android Pay comes to India soon considering the growth of cashless payments and surge of e-commerce industry. Both these apps are individual chatting apps, which makes us wonder why Google did not integrate the two. However, Allo is just a simple text chatting app while Duo is a video-calling app. Allo employs Google Assistant to chat with friends and suggesting smart replies. By smart we mean intuitive replies and make it unnecessary to type anything unless important. The app is linked to a user’s phone number and will make suggestions to the user as the conversation advances. The AI working at the back recognizes the sentences written and suggest responses to the words and images transferred. Allo has an interesting feature that increases the size of your words written to express ‘Shouting’ and ‘Whispering’ to the other person. Emojis are also automatically suggested depending on the sentence written, which means the app constantly monitors your chats. Duo is a video-chatting service like Apple’s FaceTime and that’s pretty much it. There is only one feature that sets it apart from other similar services, which is Knock Knock. What it essentially does is that before the other person accepts your video call, he/she will get a live preview of you and your background from your smartphone’s camera. This could be used in some interesting ways but can be a big pain during important meetings and conferences. Both the apps will be available for iOS and Android soon and Google ensures they will be end-to-end encrypted for security. Our verdict – The idea of Google always monitoring your chats to predict messages is a bit creepy, and to add to the creepiness, Duo will have a live preview from your smartphone’s camera. Setting that aside, it is quite disappointing to see a half-baked product from Google. It is almost like Duo was released to counter FaceTime. Allo and Duo could have been integrated into one app by replacing Google Hangouts. Also, we don’t know the fate of Google Hangouts, considering there are two applications in place of one. What we do like is the fact that messages will be intuitive for the smartphone so you technically don’t need to bother with typing while engrossed in something else. Do you remember Nexus Q? Probably not, because it was unveiled at Google I/O Conference 2012 and failed to attract many buyers. It was a media player from Google that saw a slow death by early 2013 and Google ultimately ended up an embarrassment for the company. Google is back again, with not a media player, but a speaker that is connected to other smart devices from Google and doubles up as a talkback machine. The speaker can not only play your favourite songs but also tell you the weather and answer some questions for you. Google wants to integrate Assistant into the device in near future to allow users to book cabs, movie tickets, make restaurant reservations and order food at home. Basically, the device could do a lot of things your smartphone could too. Our verdict: Google’s products in India are mostly limited to their smartphones and Chromecast which will not add any more value to Google home. The product is also a lot like Amazon Echo, so I don’t know why one would want to go for a Google product specifically, but then we can leave it to personal choice. Google Home in India can be given a miss. Not much will be available to us anyway anytime soon. Android Wear was Google’s smartwatch platform which garnered some praises for being well thought out and refined. This year, the second version will actually be a complete overhaul of Wear. The platform will be a smartphone on your watch, running completely independent from your phone or other smart device. You can actually see text messages, reply from your smartwatch,play a video, set an alarm and do almost everything that can be done on a larger screen of a handset. Other than improving the exercise sensors, Google has introduced smart replies, swipe-enabled keyboard and handwriting recognition. Google also aims to make the wearable device completely free from a smartphone, i.e., independent of WiFi, mobile internet and bluetooth service. Our verdict: With plethora of smartwatches out there, this update is definitely going to improve your experience and slowly engage you more with the fitness routine. Making the watch independent of the smartphone is a big step and we feel it will take some time for people to accept. Overall, not a huge update but could pave new ways for future software developments for a smartwatch. Android Auto is coming to India and it could not have been a better time to release an update for the same. Traffic and navigation app, Waze, will be directly integrated into Android Auto now, adding to its existing database of maps and locations. Waze app alerts the drivers of accidents and police traps on the existing route. Auto will also be able to connect to cars on WiFi, or as previously, a wired USB connection. 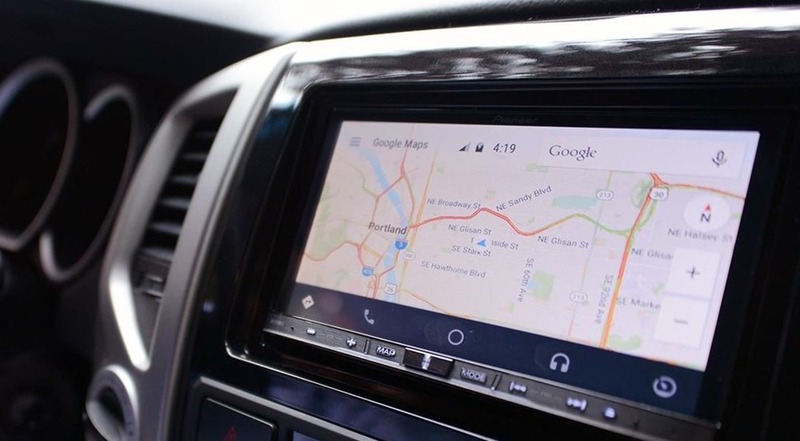 Android auto will also not necessarily be installed in your car, it can be used as an app on smartphones as well. Cars not compatible with Android Auto will also be able to use the service using an Android device. Our verdict: Always been a fan of Android Auto and these updates are going to increase the reach of Auto in India. Not many car manufacturers in India are looking forward to integrating Android Auto in their cars, so the standalone app comes in handy. What do we think of the conference? We were looking for something exciting from Google, like some fancy changes to the Android UI, getting rid of the app drawer and more efficient version of Android. Instead, what we have is a set of apps playing catch-up with other companies like Apple and Amazon. The conference overall was also a little boring for software developers who were hoping for some magic from Sundar Pichai and his team. Google’s Allo is same as Facebook Messenger, Duo is same as FaceTime, Home is same as Amazon Echo and Assistant is same as Siri. There would be some differences, but I always thought it was Apple’s job to catch up with Google and not the other way round. However, better late than never, we will be getting these new apps and updates to our smartphones in September or October 2016. Some of them will not be available to existing Android users, which can make the game very difficult for Google. One announcement we are really happy about is Android Assistant Apps! Android’s next version N has not been named yet, and I am hoping it is either Nutter Butter or Nutella because they fit the theme well. If you have any suggestions, do not forget to submit your idea on Android N’s website. Although I feel Google will eventually name it what it wants to. "Top 8 Google I/O 2016 Announcements: DayDream, Allo, Duo, Instant Apps & More…", 5 out of 5 based on 4 ratings. “Yes! Siri is finally coming to Android! I mean atleast a Siri-like assistant is coming to your Android phone soon. The update will be available in the coming months and I can’t wait to use it.” whooaaa trak you need better writers if you want to keep hold of your readers.that uber delhi surge pricing article was also lame as he named uber a startup. Hey Ankit! I’m infact not an apple fanatic, I am a little biased towards Android. But i do appreciate other things by Apple and I do not mind criticizing what I like, because not everything in perfect.